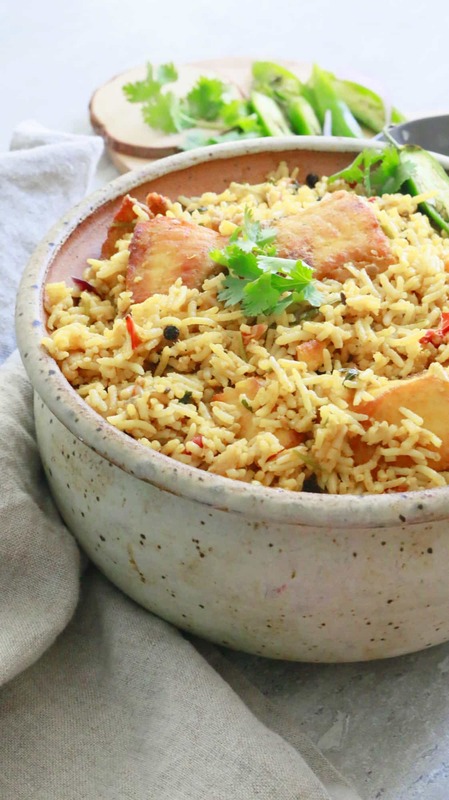 I just can’t get enough of this spicy, authentic fish biryani!! 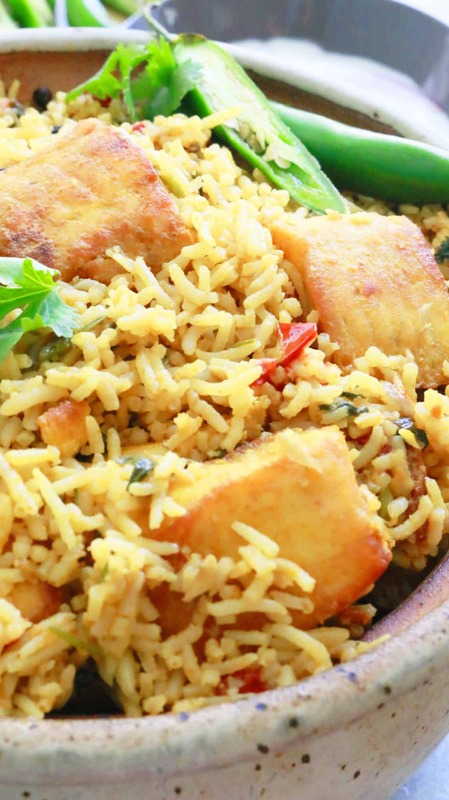 One pot, leftover rice and tons of flavors. 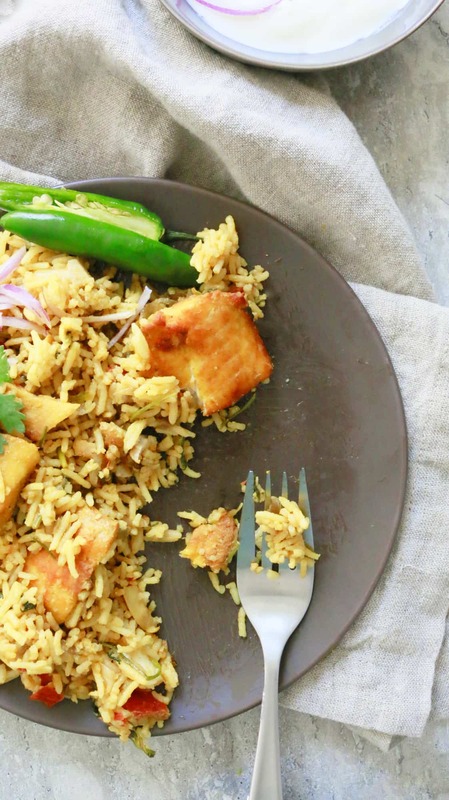 Meet your new favorite biryani recipe. 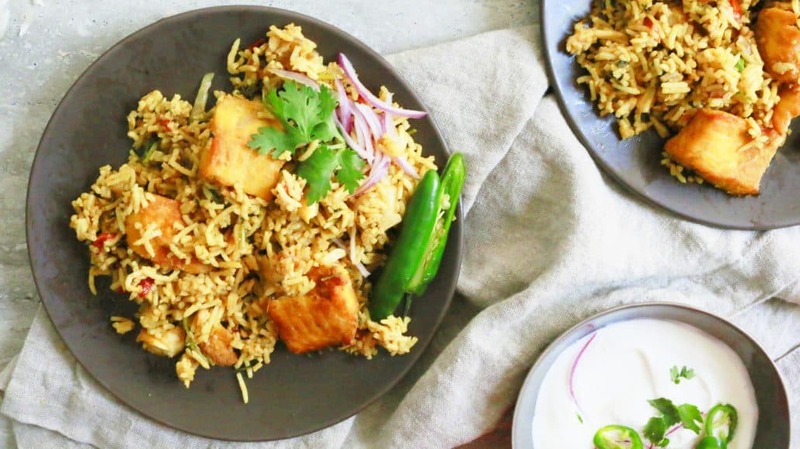 The biryani you’re going to eat for dinner, lunch and make for company. 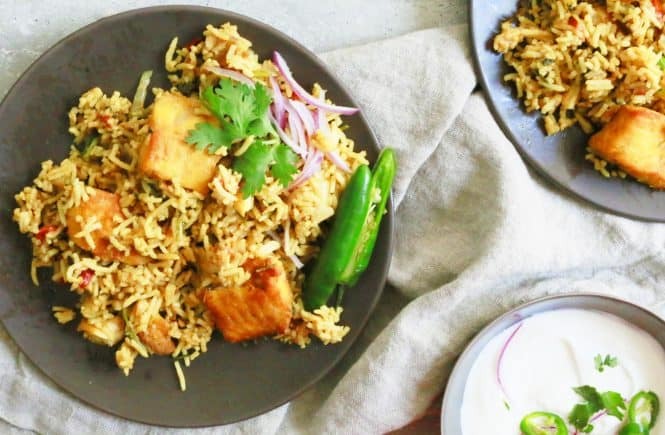 An Indian version of chicken and rice. 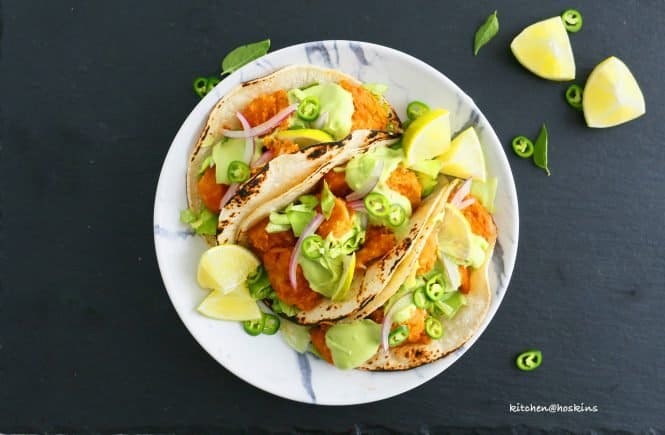 If you like spicy dishes , you will want to make this. Serve plain or with raita / plain yogurt. 1. 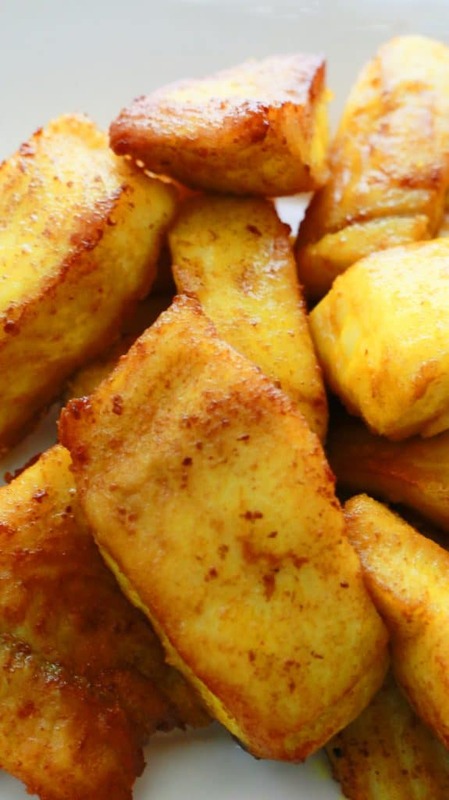 Mix fish, 1/2 teaspoon salt, 1/2 teaspoon cayenne pepper powder and 1/2 teaspoon turmeric powder until well coated. Set aside. 3. Reduce heat to medium, add bay leaf, cinnamon, cardamom, clove, peppercorns and fennel seeds, into the remaining hot oil. Let peppercorns and fennel seeds crackle and pop. Immediately add thinly sliced onion and 1/2 teaspoon salt, saute for about 3 minutes, until translucent. Add grated garlic and ginger and continue to cook until onions are golden, about 2 to 3 more minutes. 4. 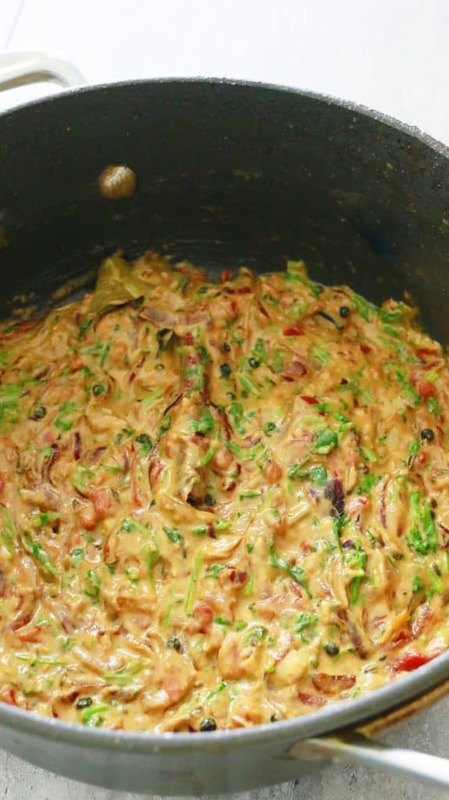 Add chopped tomato, 1/2 teaspoon cayenne pepper powder, 1 tablespoon coriander powder and 1/2 teaspoon salt. Saute for about 5-6 minutes, until tomatoes are mashed, spices are toasted and glossy (refer pictures). 5. 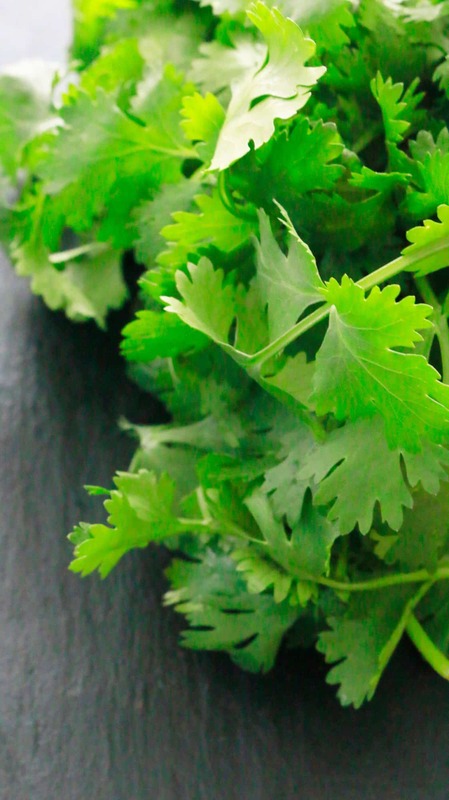 Add coconut milk, cilantro and remaining 1/2 teaspoon salt, stir and let cook for exactly 30 seconds. 6. 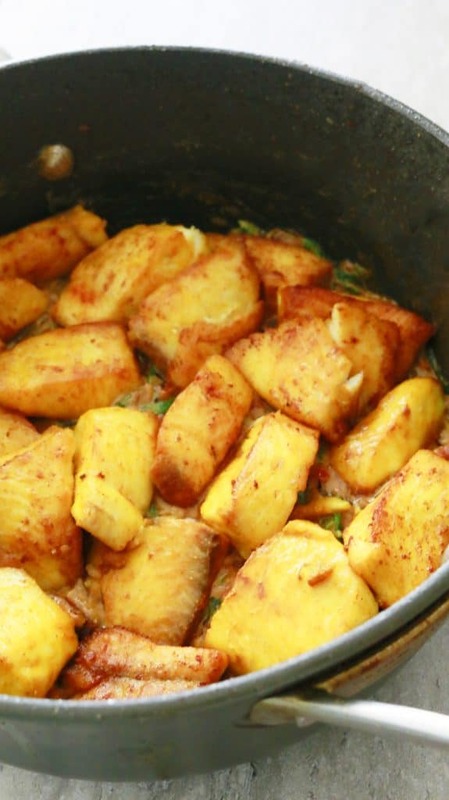 Reduce heat to medium-low, place all fish pieces over the cooked mixture (along with any juices on the plate) and then evenly top with cooked rice. Pack it down slightly, cover with a lid and cook for 10 minutes. 7. Turn off heat, uncover, gently stir to mix everything, cover again and let rest for at least 10 minutes before serving. Peppercorns give a subtle flavor and authenticity to the dish. But, you could avoid if serving to children or prefer less spicy. 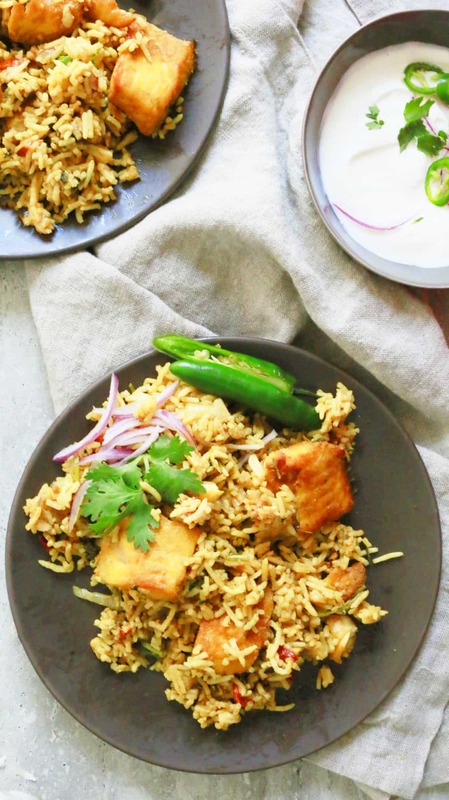 Don’t be alarmed with the amount of oil (it is biryani after all😀). 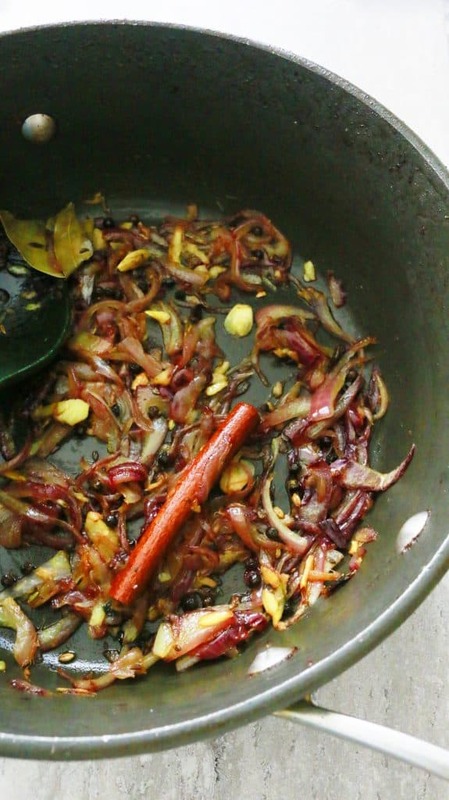 The oil is used for both frying the fish and making biryani. So, drain as much as oil as possible while removing cooked fish. 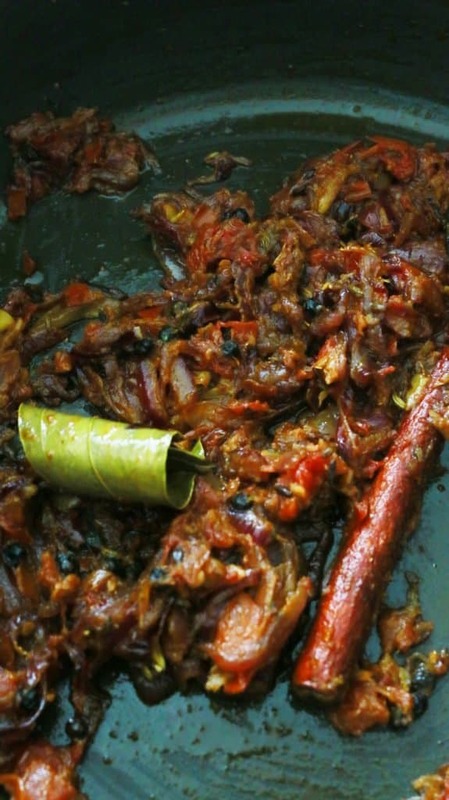 Use very thinly sliced onions and finely chopped tomato. It really speeds up the cooking process. Make sure rice is at room temperature. 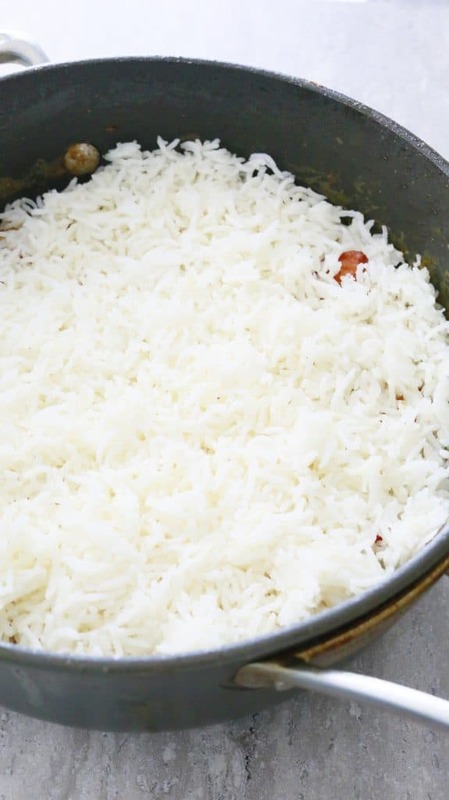 If using rice from refrigerator, pop it in the microwave for about a minute, until no longer cold. 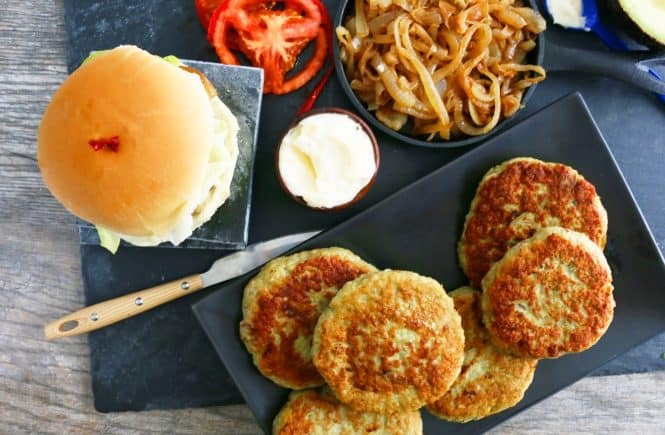 Use a 8 to 9 inch wide and at least 3 inches tall non-stick pan with a tight fitting lid. Do not reduce the amount of fish. YUM! I need more ways to use leftover rice. Somehow I always make too much! Have a great weekend, Maria! Maria I’m being 100% honest when I say I’m totally psyched about this!! I always have leftover rice and those pieces of fish look incredible. Can’t wait to try it out!! 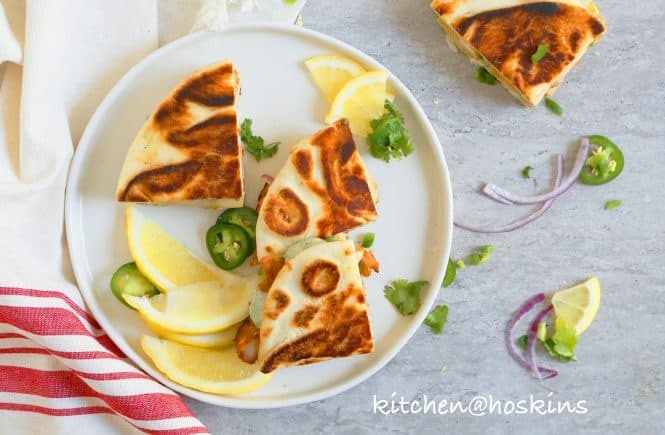 This is extremely easy to make and also a very healthy and flavorful recipe to create this at home, Last time I visited this website for create the good rice recipe.